Identity. Be it a small upstart venture or a large global corporation, your goal is to expose people to your philosophy, services or products, professional experience, reputation and branding. ARCH-INTERIORS has over two decades of business acumen and a talented staff with an exceptional understanding of the dynamic process of commercial design. Your working space must be usable, functional, make a unique design statement, have the technological support to function in a state-of-art manner and an eco-consciousness. 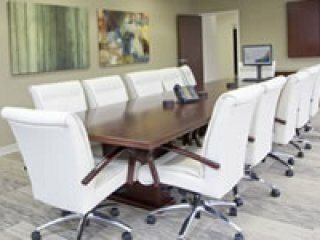 Employees, visitors and your Clients must love experiencing your space, and ultimately it should be a physical statement to the company’s Mission Statement. Because our firm offers residential, retail and hospitality services, we draw from a plethora of products and finishes to incorporate distinctive detailing that makes a statement. 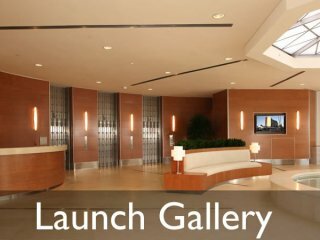 Our Clients’ needs range from spaces that feel like a home, are contemporary and edgy, have traditional rich woods and special finishes, are entire buildings that want to beautify their lobby, restrooms, corridors or a valet level, or requests as unique as a mock courtroom. The collective results will be a finished product that extends well beyond what their competition has to offer. 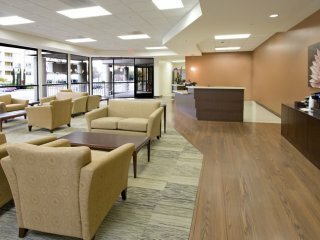 ARCH-INTERIORS offers full “turn-key” design services, which is unique in the commercial design field because of the myriad of services available to our Clients. Upon completion of the concepts, we then produce full sets of construction drawings and project details and expedite the project all the way through City permitting. We can also coordinate with lighting, data, equipment suppliers, audio/visual, facilities managers, building management, leasing agents and any other relevant consultants needed on the project. Our superior project management skills ensure supervision with the utmost attention to detail to minimize potential problems. To inquire how ARCH-INTERIORS can assist you in creating an environment for your needs and identity, please click here. “It had truly been a pleasure working on contracts with your organization. The group of Arch-Interiors has consistently demonstrated their ability to look at the big picture when it comes to your clients, architecture and telecommunication needs. You have consistently eliminated frustrations on our part by asking the right questions of your clients and exploring all their possible needs-both present and future. Lastly, thank you for all the attention to which you have shown us when coordinating the various vendors and working on site for your clients. Potential nightmares have been avoided due to your attention to details and scheduling/coordination skills. “As always, you and your team have provided great service. Most important is your ability to do all of this with a great friendly attitude. “Arch-Interiors, headed by President Christopher Grubb has proven to be leading professionals and an amazing and talented interior designer firm. They are capable of prioritizing design and visual appeal, bringing with them elegance, great care, and with an eye for precise detail. “I originally hired Arch-Interiors to assist with my office. They helped create a functional layout for the space, and also coordinated with our building management and contractor. I was particularly pleased with their innovative ideas for our showroom; they were able to design inventive ways to create a multi-functional space while maintaining our budget.